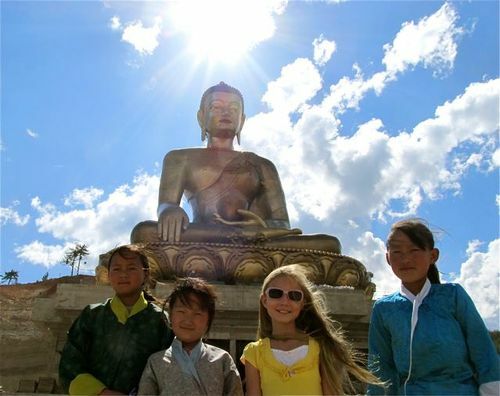 Wisdom Quarterly: American Buddhist Journal: What is the famous "Dhammapada"? 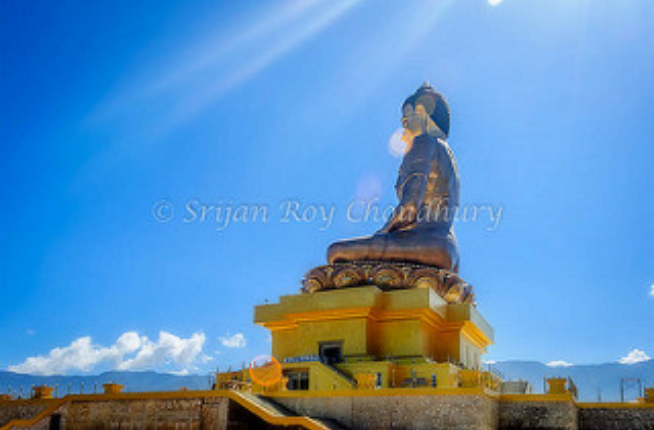 Towering in the Himalayas, the Buddha at Thimphu, Bhutan (Srijan Roy Choudhury). 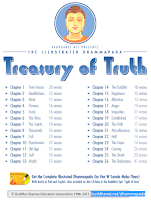 The Dhammapada is the best known and most widely esteemed text in the Pali Tipitaka (the "Three Collections" in the exclusively-Buddhist language called Pali), the sacred scriptures of Theravada Buddhism. The work is included in the "Minor Collection" (Khuddaka Nikaya) of the Sutra Collection, but its popularity has raised it far above the single niche it occupies in the scriptures to the ranks of a world religious classic. Composed in the ancient Pali language, this slim anthology of verses constitutes a perfect compendium of the Buddha's teaching, containing between its covers all of the essential principles elaborated at length in the 40+ volumes of the Pali canon. 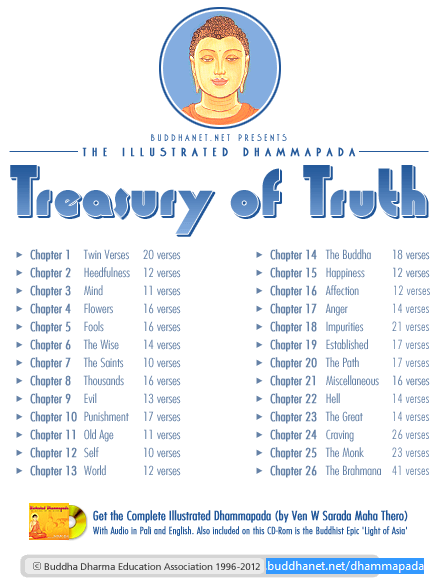 According to the Theravada Buddhist tradition, each verse in the Dhammapada was originally spoken by the Buddha in response to a particular episode. 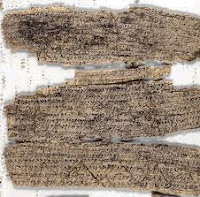 Accounts of these, along with exegesis of the verses, are preserved in the classic commentary to the work, compiled by the great Indian scholar-monk Bhadantacariya Buddhaghosa in the fifth century C.E. on the basis or material going back to very ancient times (much of it preserved in Sri Lanka). Ven. Buddhaghosa, the great commentator, also compiled The Path of Purification. The contents of the verses, however, transcend the limited and particular circumstances of their origin, reaching out through the ages to various types of people in all the diverse situations of life. For the simple and unsophisticated the Dhammapada is a sympathetic counselor. For the intellectually overburdened its clear and direct teachings inspire humility and reflection; for the earnest seeker it is a perennial source of inspiration and practical instruction. From ancient times to the present, the Dhammapada has been regarded as the most succinct expression of the Buddha's teaching found in the Pali canon and the chief spiritual testament of early Buddhism. 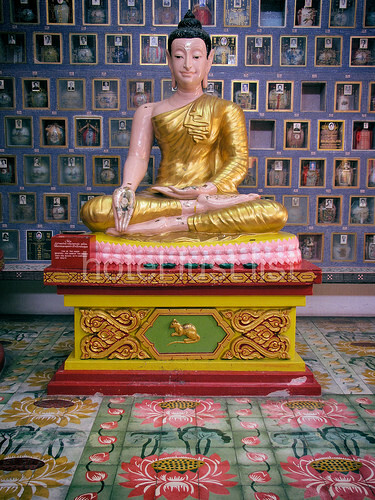 In countries following Theravada Buddhism, such as Sri Lanka, Burma, and Thailand, the influence of the Dhammapada is ubiquitous. It is a rich source of themes for sermons and discussions, a guidebook for resolving the countless problems of everyday life, a primer for the instruction of novices in monasteries. Even the experienced contemplative, withdrawn to forest hermitage or mountainside cave for a life of meditation, can be expected to count a copy of this book among his or her few material possessions. Yet, the admiration the Dhammapada has elicited has not been confined to avowed followers of Buddhism. Wherever it has become known its moral earnestness, realistic understanding of human life, aphoristic wisdom, and stirring message of a way to freedom from suffering have won for it the devotion and veneration of those responsive to the good and the true. The expounder of the verses that comprise the Dhammapada is the Shakyan sage called the Buddha, an honorific title meaning "the Enlightened One" or "the Awakened One." The story of this venerable personage has often been overlaid with literary embellishment and the admixture of legend, but the historical essentials of his life are simple and clear. He was born in the sixth century B.C., the son of a king ruling over a small state in the Himalayan foothills [in the northwest of what is now India, the land of the Sakas or Sakyas, presently Afghanistan]. His given name was Siddhattha and his family name Gotama (Siddhartha Gautama in Sanskrit). Raised in luxury, groomed by his father to be the heir to the throne, in his early manhood he went through a deeply disturbing encounter with the sufferings of life, as a result of which he lost all interest in the pleasures and privileges of rulership. One night, in his 29th year, he abandoned the royal city and [traveling east] entered the forest to live as an ascetic, resolved to find a way to deliverance from suffering. For six years he experimented with different systems of meditation [under two yogis] and subjected himself to severe austerities, but he found that these practices did not bring him any closer to his actual goal. Finally, in his 35th year, while sitting in deep meditation beneath a tree at Gaya, he attained Supreme Enlightenment and became, in the proper sense of the title, "the Buddha," the Enlightened One. 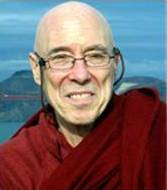 Thereafter, for 45 years, he traveled throughout northern India, proclaiming the truths he had discovered and founding an order of monks and nuns to carry on this message around the world and far into the future. At the age of 80, after a long and fruitful life, he passed into final-nirvana peacefully in the small town of Kusinara (Kushinagar, India), surrounded by a large number of disciples. To his followers, the Buddha is neither a god, a divine incarnation, or a prophet bearing a message of divine revelation. He is a human being who by his own striving and intelligence has reached the highest spiritual attainment of which man is capable -- perfect wisdom, full enlightenment, complete purification of mind. His function in relation to humanity (and the devas on earth and in space) is that of a teacher -- a world teacher who, out of compassion, points out to others the way to nirvana, final release from all suffering. 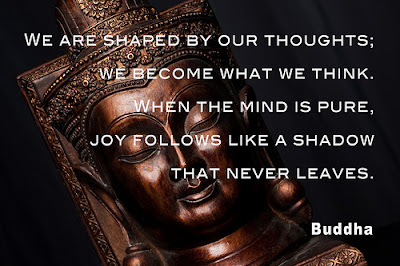 His teaching, known as the Dharma (Pali Dhamma), offers a body of instructions explaining the true nature of existence and showing the path that leads to liberation. Free from all dogmas and inscrutable claims to authority, the Dharma is founded solidly upon the bedrock of the Buddha's own clear comprehension of reality, and it leads the one who practices it to that same understanding -- the knowledge which extricates the roots of suffering. The title "Dhammapada," which the ancient compilers of the Buddhist scriptures attached to this anthology, means portions, aspects, or sections of Dharma. 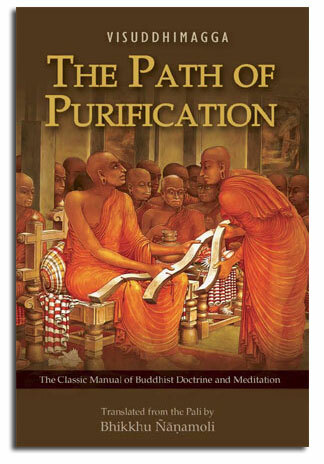 The work has been given this title because, in its 26 chapters, it spans the multiple aspects of the Buddha's teaching, offering a variety of standpoints from which to gain a glimpse into its heart. Whereas the longer sutras or discourses of the Buddha found in the prose sections of the Canon usually proceed methodically, unfolding according to the sequential structure of the doctrine, the Dhammapada lacks such a systematic arrangement.